Your home is one of the most significant investments you will ever make and when you are ready to begin designing it and begin thinking about building it, you want to choose the right Builder to work with. You will want to feel comfortable that your home will be built within budget and on time. One of the most difficult things for most people is knowing what criteria to use when selecting a Builder and then feeling confident that the Builder will always keep your best interests in mind. Builders are not required to earn Designations, such as the Certified Graduate Builder Designation (CGB), they are voluntarily earned by the Builder. However, these designations easily allow you to determine which Builders seek opportunities for Professional Development, Continuing Education and to stay abreast of the rapidly changing and dynamic Construction Industry. You, the Consumer can use these Designations to assist in the decision making process as you are trying to select a Builder to build your home. Builders who hold these designations know the value of Professional Development and Continuing Education and quite often, these are the Builders who are active in their Local Organizations, State and National Organizations, and they are the Builders who seek out Peer contact and attend Trade Shows and other Educational Programs. When you hire a Certified Graduate Builder, you can expect an experienced Builder who is committed to delivering their clients a Quality Product. 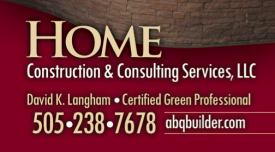 The Certified Graduate Builder Designation was developed by the National Association of Home Builders. To earn this designation, a Builder is required to complete a stringent and regularly updated curriculum that deals with current and important Industry Related Topics, as well as pledge their commitment to a Professional Code of Ethics. Prior to beginning the required course work, Certified Graduate Builder Designees are required to take an exam to demonstrate their knowledge and aptitude with regards to a multitude of topics related to Construction and Business Principles. Certified Graduate Builders are required to have twelve hours of Continuing Education every three years through building industry related educational activities to keep their certification current. Seek a Professional – Look for a Builder who emphasizes quality, communication, integrity, and a commitment to Professional Development. Customer Service – A Builder who is committed to client satisfaction will emphasize service from every person or entity with whom they work and maintain a professional attitude in every interaction. Integrity – Is your prospective Builder trustworthy? Check their References. Commitment to Education – Professional Builders know the value of Professional Designations and Continuing Education. They will do what is necessary to stay informed of new developments in the construction Industry and will use this knowledge to provide a better product for their clients. Before visiting with your Builder, you should have already determined what you can afford to spend and be prepared to share this with your Builder. If you want your Builder to be able to give you honest and accurate information, you really need to be honest with them. Additionally, please listen to your Builder if they tell you that something may be too expensive, there is nothing worse than having a set of plans for a home that is too expensive for the Client to build, yet this is not an uncommon occurrence. Your total budget should comprise the sum of cash plus borrowing power plus equity available for your project and it may be a good idea to begin visiting with different Lenders prior to beginning the design of your home to get pre-qualified for a loan. – What kind of down payment can I make? – What features do I want my home to have? – What is my current property or home worth? – What will my mortgage payments be? – In what areas have you built? – What sets you apart from other builders? – What type of warranty program do you offer? – What is your fee for building a home (fixed price, cost plus, management fee)? – How do I know what your fee really is? – How do you charge for extras? – Who supervises your construction? – How long have your trades people been working with you? – How often during the week are you at the job site? – Who will I be dealing with during construction? Will that person have the authority to make final decisions? – How many hours per year do you and your supervising staff participate in continuing education within the homebuilding industry? – Do you belong to a local Trade Association? Which ones? – Can you provide a list of references, including Home Owners, Suppliers, Subcontractors and Consultants, such as Architects and Engineers? – Have you ever been sued? If so, did you win or lose? Are there any suits currently pending? If so, please explain. – Are there any Liens against properties that you have built? – Have you ever filed for bankruptcy protection? – Was the Builder accessible or not during your project? – Was the Home completed when promised? If not, why? – Did the Builder stay within your budget? – Was anything intentionally underbid by the Builder? – Did the Builder follow the plans and specifications, or did he or she make changes without consulting the Architect, Draftsperson or you? – Were there any surprises, such as excessive Change Orders, or did the work go smoothly? – How did the Builder charge for Change Orders? – Were the Allowances adequate? – Was follow-up on Warranty Work completed in a timely manner? – Do the home’s Mechanical Systems (air conditioning, heating, plumbing and electrical) function properly? – Is the home Energy Efficient? – Why did you choose this Builder? – Was the Builder easy to work with? – Did the Builder supervise the job closely? – What is the condition of the job site as a Home neared completion?